Should You Try Face Cupping, the Anti-Aging Treatment Celebs Love? Cupping made headlines during the 2016 Rio Olympics, when Michael Phelps attributed the round, purple bruises on his back to the alternative medicine practice used to treat everything from muscle soreness to arthritis and blood diseases. Now, celebrities are getting the skin-suctioning therapy on a new part of their bodies: their faces. 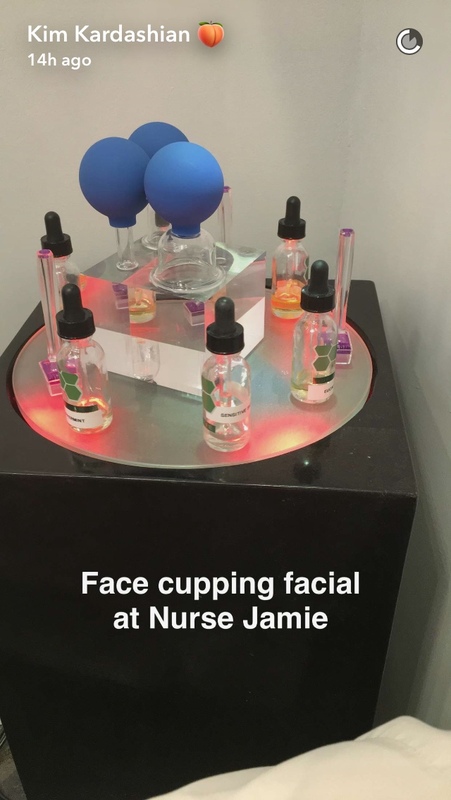 In an interview with The Hollywood Reporter, Nurse Jamie (aka Jamie Sherrill), facialist to the stars, said that cupping uses mild suction to drain lymph nodes, getting "rid of any sign of a jowl and fight[ing] inflammation for a perfect profile or over-the-shoulder photo moment." She uses the technique at Beauty Park Medical Spa, a destination for A-listers seeking non-surgical skin treatments. Kate Beckinsdale's aesthetician, Kat Rudu, also uses facial cupping on her celeb clients, according to The Hollywood Reporter. To get a doctor's take on whether cupping really can lead to a younger-looking complexion, we spoke with New York City-based dermatologist Debra Jaliman, MD: "Facial cupping promotes circulation of blood to the face. For some people, it’s extremely relaxing," she says. And unlike body cupping, it doesn't leave marks. The procedure works like this: Glass cups with balloons attached are placed on the skin and used to gently lift facial tissue for a massage-like effect. The sucking motion can drain lymph nodes and increase the supply of oxygen and nutrients to your skin, says Dr. Jaliman. Immediately after the procedure, clients often report that their muscles feel relaxed, and that they see a reduction in wrinkles and fine lines, she says. If you want youthful skin without paying top dollar for a face-sucking session, Dr. Jaliman recommends investing in quality anti-aging products, such as a vitamin C serum and retinol cream. The results of a proper skincare regimen last much, much longer, she says.